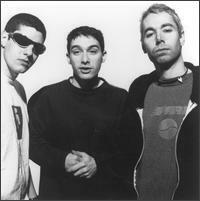 Keeping on the Jewish kick, I freakin love the Beastie Boys. We’re talkin about three jewish white guys from NYC who took the rap world by storm in the mid 80’s. 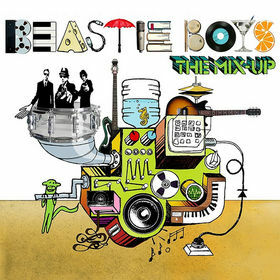 First criticized by critics and hip hop musicians for being cultural pirates of sorts (especially because of thier beginnings as a punk band in 1981), the Beastie’s forged their own way and created a new post-punk, funky, psychadelic, pop, hip-hop sound that influenced a generation. Liscence to Ill was a surprising hit that paved the way for what I believe to be their best album, Paul’s Boutique. And although this LP did not recieve the accolades as its predecesor (in addition to it being a completely different sound), it did produce the ecclectic, freewheeling style that they are now known for. Check Your Head, Ill Communication, and Hello Nasty followed and were equally awesome and influential. They also released a jazzy, funky, exploratory instumental album in there called The In Sound From Way Out which I thought was great. This leads me to thier new release, The Mix Up, which to be honest, I’m surprised hasn’t gotten more attention. Also an instrumental album, it showcases the BBoys musical skills, as they flow through numerous catchy grooves, and endless jazz and funk fused rhythms. There’s even a touch of reggae thrown in there. Great music to just chill, or be putzing around the house to. check it. Before all the hoopla begins for the Christmas music phenomenon, lets celebrate Hanukkah. But alas, there are not many songs for the festival of light (besides the Hanukkah Song penned by none other than Adam Sandler, but that’s been played out). So intead, I thought I’d bring you a story. I recently recieved this story from my uncle Jay and it really made me think. 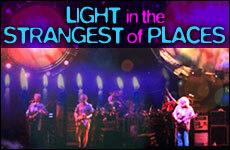 “Once in a while you get shown the light in the strangest of places if you look at it right”.